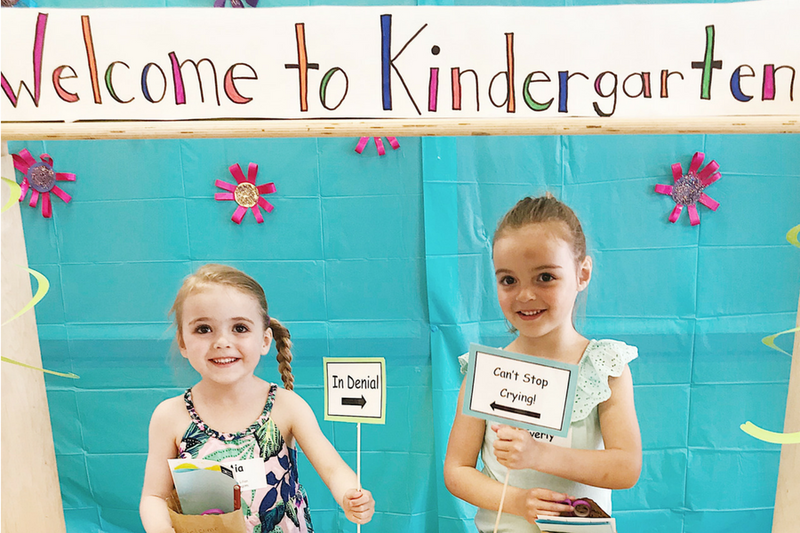 Am I the only one experiencing moody kids as they approach Kindergarten? My twins are starting kindergarten in September. Let’s just let that one sink in for a minute. I think I must have joked about just getting to September, 2018, since before our twins were born. That seemed like our point of arrival. Now that our family is looking down the barrel at that date, we are dealing with a lot of different emotions. How are Mike and I feeling? Our twins? I wonder if it has really sunk in. But to be honest, we have been going through a rough behavior patch since late winter with them. Defiance, attitude, whining, you name it. It has been rough. One of the hardest parts has been that every time I have tried to “fix” them it hasn’t worked. Even my world famous cuddles have been getting rejected. What gives? We went through the same rocky patch with the six months leading up to kindergarten with each of our older kids. Could this phase possibly be a thing? I would look it up in one of the many “What to Expect” books I used to own, but I gave them away years ago. So I am just assuming this phase, this horrible, I feel like I live with cavemen, phase is a thing. A common thing that parents go through. So now that we’ve established that I’m probably not alone, let’s unpack this shift in personality, shall we? I think our twins are feeling their new independence and pending responsibility. I think they are trying to figure out who they are, and realizing that they are their own individual people. Could they be rejecting my cuddles to cut the cord before kindergarten? Possibly. Whatever the reason is, I have decided just to love them. To listen to them. To allow them to be their own self and foster their self-confidence. I definitely know that having our twins in daycare has helped prepare Mia and Everly for “bid kid school”. We will get through this phase, and I am prepared to wait until mid-September for it to pass… like it did our older kids. So, hang in there parents of almost-kindies. You are NOT alone. 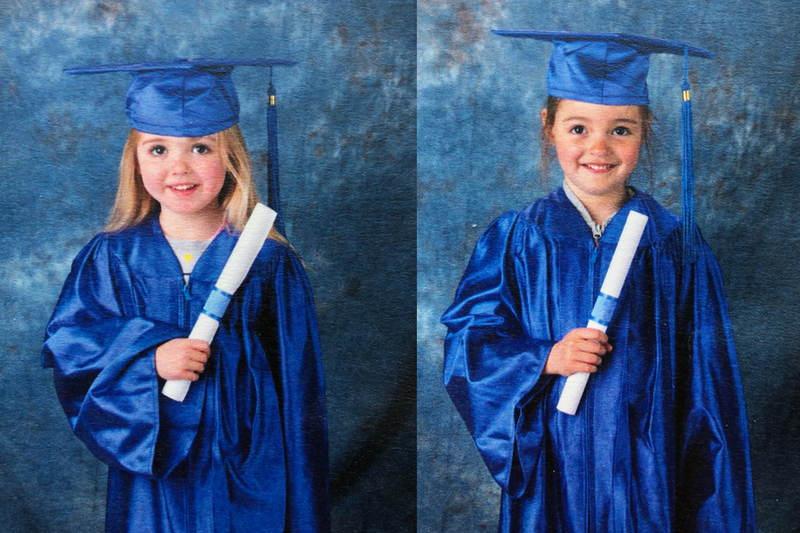 Mia and Everly’s Kids & Company graduation photos. Finding a childcare that not only gives me time to build my career, but that my kids also love, has been such a wonderful aspect to having more of a work/life balance. Kids & Company has the flexibility I need with my schedule, but also the unique programming, learning opportunities, from-scratch meals and sense of community they provide fills me with such confidence in my choice in childcare. Whether it’s their Grab ‘n’Go snacks, parent workshops, or their complementary care for date nights and shopping days outside of regular hours, nothing has been forgotten. One waved registration per family for a newly registering child before December 31, 2018. Subject to availability. Your kids are so beautiful. I’m sure they’ll love kindergarten. All the best! You are not alone. My kids especially the second one is such a moody child. It was such a hard time for me during those days. However, when she became a grade-schooler, everything was better. Thanks for sharing.